After the Second Anglo-Burmese War in 1852, the East India Company’s annexation of Pegu province put Yangon into British hands. In 1885, the Third Anglo-Burmese War resulted in Britain’s complete annexation of Burma, and Rangoon (now Yangon) was named as the capital of Burma (now Yangon). From 1852 until Burma gaining independence in 1948, Rangoon saw major urban transformation under the British, with splendid colonial structures constructed all over the downtown. 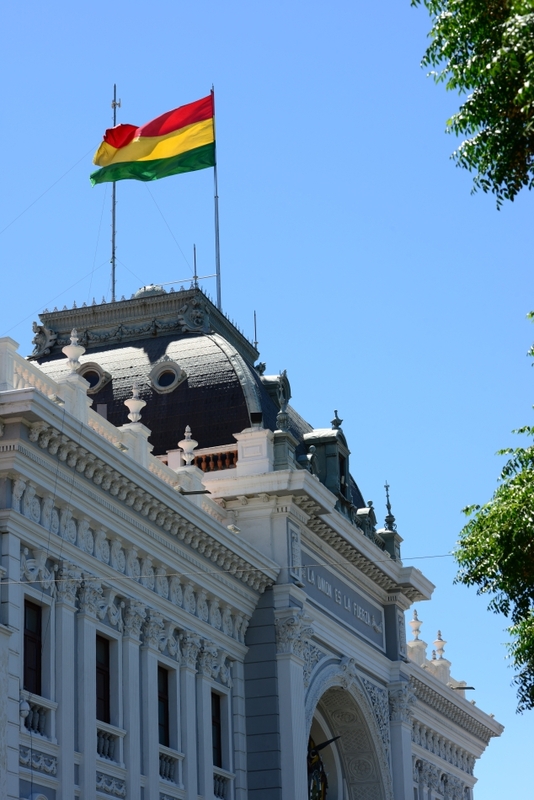 After independence, political and military turmoil among ethnic groups threatened the survival of the new nation, and then in 1962, a coup d’etat brought the nation into a 48-year military dictatorship until the first civilian elected president came to power in 2010. During the period of political turmoil and authoritarian rule, Yangon, together with much of Myanmar, was largely isolated from the outside world. Many colonial buildings from the British era were neglected and left for natural decay. Ironically, Yangon’s decades of lack of development led to the successful preservation of Southeast Asia’s largest concentration of colonial architecture. Recently, international investment began to pour in as the country gradually opened up. Some historical buildings had since then became redevelopment targets for foreign developers. Before heading north to visit Shwedagon Pagoda, we spent a brief time wandering around the lower downtown of Yangon to admire its awesome but fading colonial architecture. Yangon City Hall, one the most prominent colonial building in the city, stands across the street from Sule Pagoda. Designed by Burmese architect U Tin and completed in 1940, the City Hall is a fine example of Burmese colonial architecture where local influence (in this case the multi-tiered pyatthat roof) has been incorporated into the otherwise largely Western design. The City Hall building exemplifies nationalist Burmese architecture at the twilight stage of colonial rule. Across the street from the City Hall, the Ayeyarwady Bank occupies the former Rowe & Co. Department Store building. Completed in 1910, the Rowe & Co. Department Store was the most splendid shopping venue in Rangoon. This century-old building featured a innovative steel structural frame, electric lifts and ceiling fans over a century ago. Across the street from the City Hall, the Mahandoola Garden (Maha Bandula Park) has long been a public park at the heart of Yangon since 1868. While we were there, audience seating and a stage were set up for an upcoming event. Also designed by Burmese architect U Tin, the Independent Monument at Mahandoola Garden (Maha Bandula Park) was erected at the centre of the park in 1948 to commemorate the nation’s independence, replacing the former statue of Queen Victoria at the same location. Flanking the east side of Mahandoola Garden (Maha Bandula Park), the former High Court is one of the most iconic buildings in Yangon. It was also one of the first in Yangon to have toilet and plumbing facilities as well as electricity. During the military rule, the Supreme Court was replaced by the socialist Council of People’s Justices controlled by the General. Today, Myanmar’s Supreme Court has been relocated to the new capital Naypyidaw. Further south from Mahandoola Garden, at the intersection of Sule Pagoda Road and Strand Road stands the baby blue and white Myanmar Economic Bank building (formerly Bank of Bengal and then Imperial Bank of India). The Imperial Bank of India was the most prominent bank in colonial Burma, serving like the central bank for the nation. The former Accountant-General’s Office and Currency Department were housed in a magnificent building with three octagonal towers. These former colonial departments oversaw taxes and trade customs for British Burma, which was belonged to the Government of British India. Today, the building is in poor condition, especially for the wings along Bank Street and Mahabandoola Garden Street. Overgrown weeds took over parts of the building facade. The building hasn’t changed much since the Japanese bombing in 1942. This former Accountant-General’s Office and Currency Department building was partially occupied by Yangon Divisional Court and Department of Pensions nowadays. 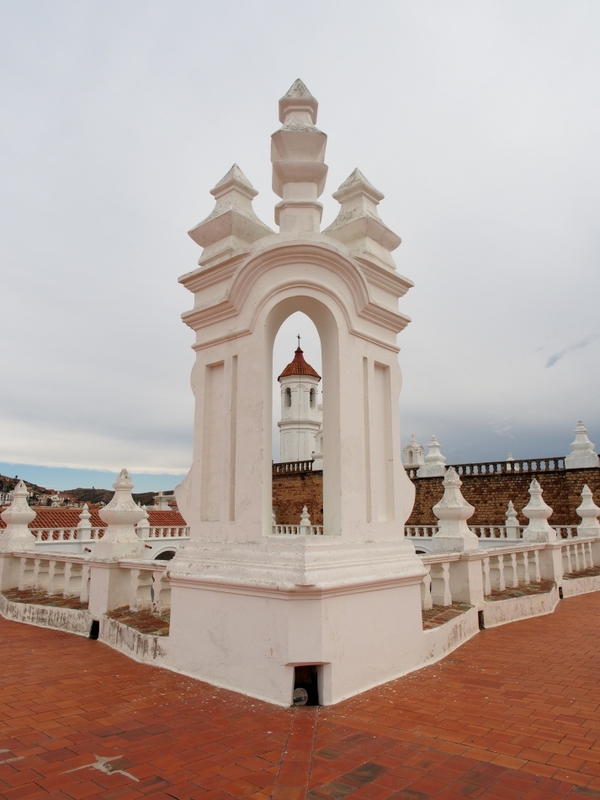 Each of the octagonal towers houses a ornate spiral staircase. The red-brick Customs House is one of the few historical buildings still serving its original functions today. Since 1916, the two-faced clock has been the iconic feature of the Custom House. Further down Strand Road, we arrived at Myanmar Port Authority (former Port Trust Office). The corner tower is an iconic landmark for the city, both for today and back in 1920s, when the new building was erected to reflect Rangoon as one of the busiest port in the British Empire. Myanmar National Airlines occupies the 1920s building of the former Bombay-Burmah Trading Corporation, whose diverse business included exporting teak wood. Right next door stood the splendid Strand Hotel, the 1901 glamorous hotel for affluent visitors in the early 20th century. 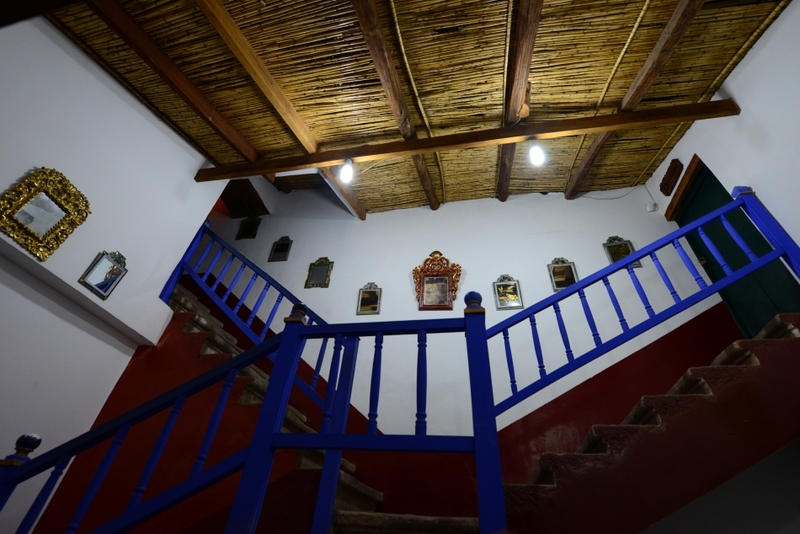 In 1993, the hotel was fully renovated with a budget of USD 10 million. The former National Bank of India building (now Myanma Agricultural Development Bank) was built in 1930. Designed by Thomas Oliphant Foster and Basil Ward, the same architects who had done the Myanmar Port Authority building, the beautiful entrance canopy and the golden entrance door remain as special features of Pansodan Road. Written with “A Scott & Co” and “erected 1902” on the triangular pediment of today’s YCDC (Yangon City Development Committee) building, this colonial architecture had witnessed the era when Rangoon had a strong trading connections with Scotland. Wandering in Downtown Yangon offered us a chance to see a number of the city’s finest colonial buildings in just a short walk. Throughout the walk, we passed by many anonymous buildings from the British era. We planned to visit Secretariat (Ministers’ Building), the former administrative centre of British Burma and Yangon’s most important colonial building. On our way, we passed by several more interesting historical buildings. Unfortunately the Secretariat complex was not open to the public. We could barely see it from outside the fence, and decided to move on to Shwedagon Pagoda. Primarily under the control of the British, the Bund area was known as Shanghai International Settlement in 1862 when the British and American settlements and a number of other nations united to form an international concession zone, while the French maintained its own concession to the south. Years before establishment of the International Settlement, foreign forces were already actively developed each of its own concession in the city, and engaged in trading and other affairs of their own interest since the end of First Opium War in 1842. For a hundred years until the Second World War, these concessions remained under foreign control. 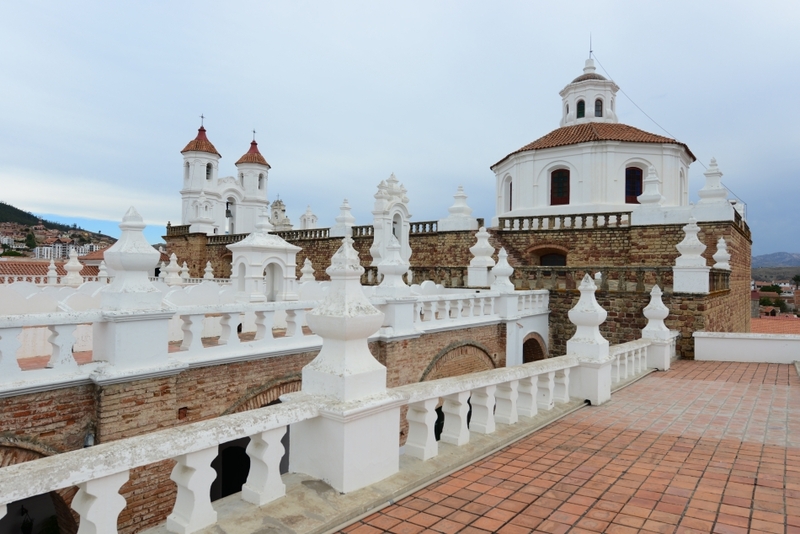 Today, large amount of the former colonial architecture remain. Not only do they become a symbol of Shanghai’s history, these western structures also offered opportunities for new businesses to come in and convert these stone and brick mansions into cool restaurants and high end shops, taping in cash from the new local wealthy class. Rockbund is a revitalization project of a series of colonial buildings in the Bund area, including the former British Embassy. 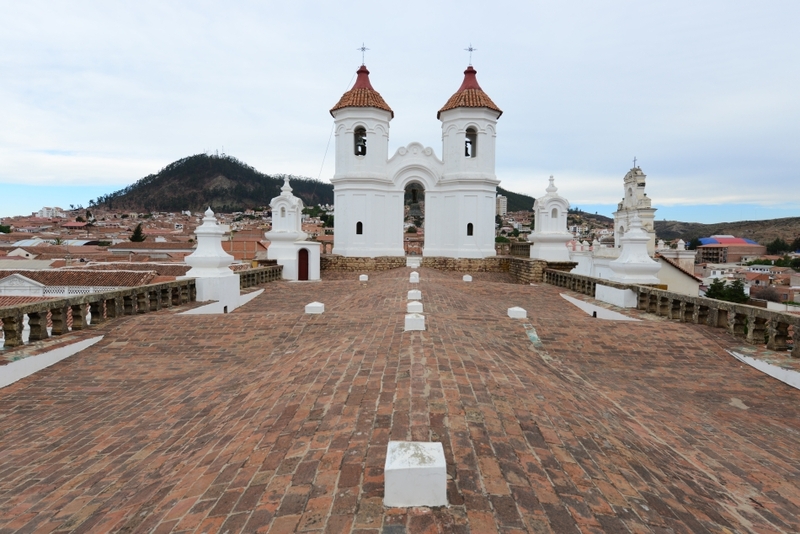 Foreign architects were invited to do the restoration and redesign. British architect David Chipperfield was assigned with 11 buildings in the Rockbund area. Most of the buildings were off limits to visits. unless we went in as customers. We could at least visit Rockbund Art Museum. A century ago, much of the International Concession was off limit to the local Chinese; today, ironically many of the restored buildings of Rockbund remained off limits to the general public. Security guards with rudeness and distasteful attitude prevent anyone to even come close to the buildings and discourage people to take photos. We had a brief stroll in the Rockbund area before arriving at Rockbund Art Museum. In the midst of exclusive and hostile atmosphere of the Rockbund, the Art Museum in contrast expressed a sense of welcome and remained truly a place for culture. Also restored by David Chipperfield, Rockbund Art Museum was the former Royal Asiatic Society Building, an well restored Art Deco building. The museum was hosting a solo show of installation art called “Ifs, Ands, or Buts” by Heman Chong, a well-known Singaporean artist. It was delightful to walk from floor to floor to see Chong’s works. At the top level, we were greeted with a free coffee when we showed our admission tickets. We walked out to the roof terrace with good views of the area and beyond. The weather was fine. We were fortunate enough to see the blue sky and enjoy the fine weather and acceptable air quality, which are getting really difficult to come by these days in a Chinese city. The alleyways of Rockbund were almost deserted except a few tourists and the security guards. 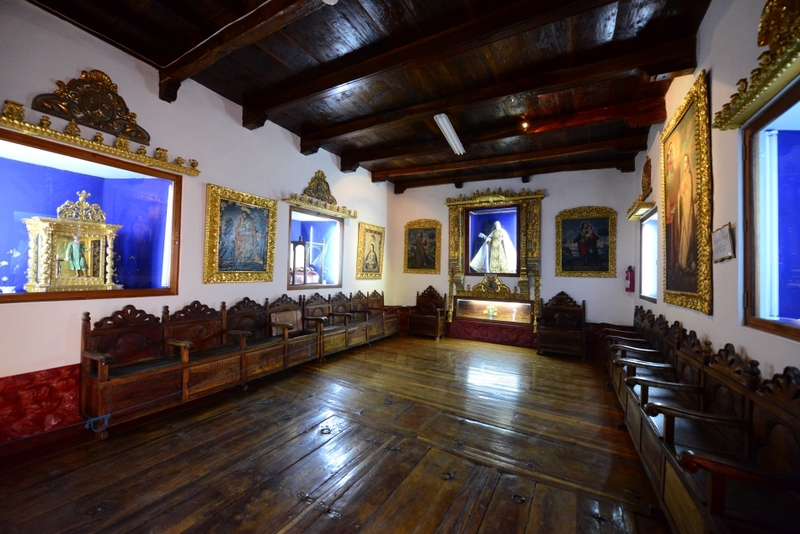 Many historical buildings were well restored to reveal their former glory. 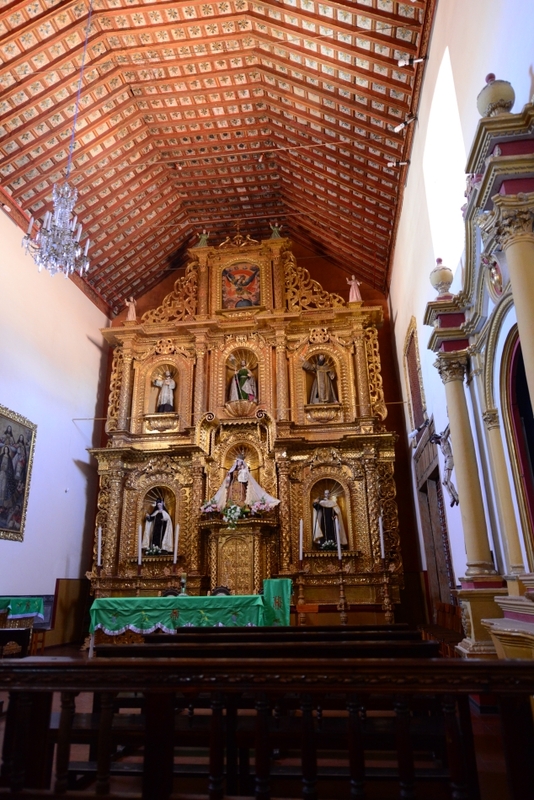 Touches of local ornament with predominately Western style architecture. Opened in 1930, the Zheng Guang Guang Xue Building was once home to China’s largest publishing company. The former British embassy had become a restaurant and a banquet venue. Rockbund Art Museum redeveloped by architect David Chipperfield. Railing in the Rockbund Art Museum. A piece by Heman Chong displaying artificial blossoms. The atrium and skylight were blocked off in order to house Heman Chong’s pieces. The curve stairs in Art Deco style. Reaching the top floors of the building. At the top floor, a young man was reciting poems and other writings. 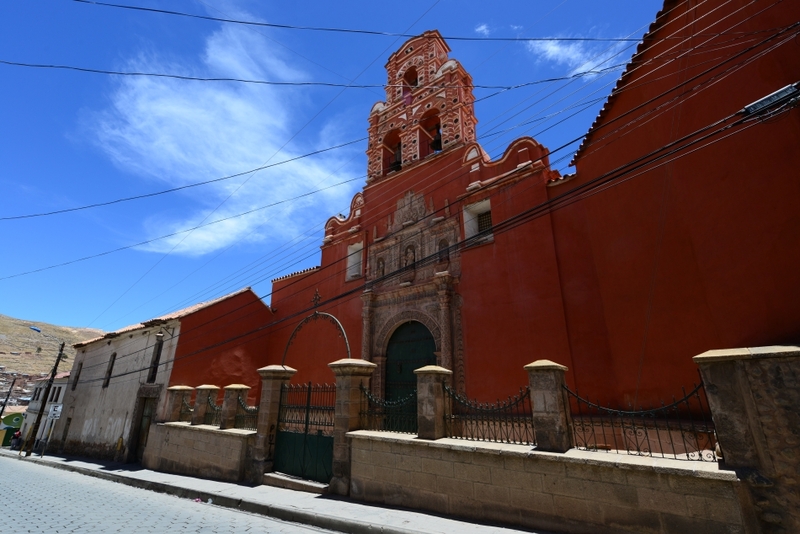 In some cases, the historical buildings were stripped down excepted the outer facades. 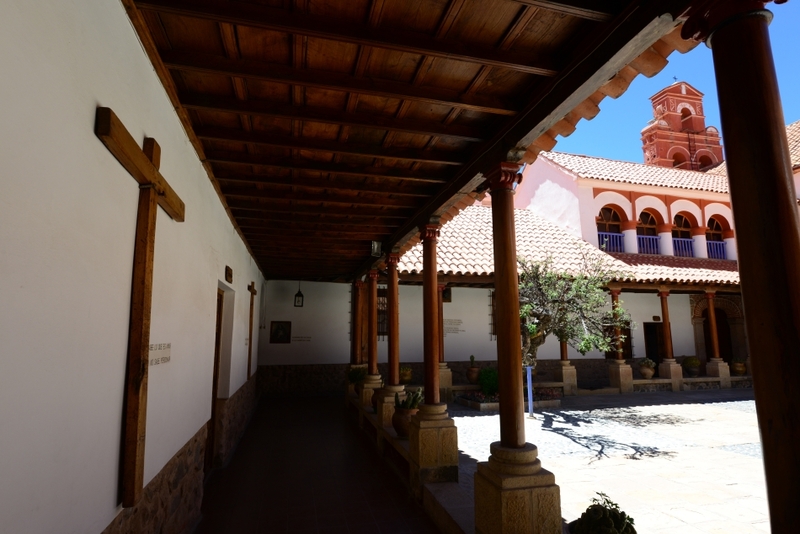 Soon we were back to the Central Cusco, the historical capital of the Inca Empire and the major heartland of tourism in Peru. 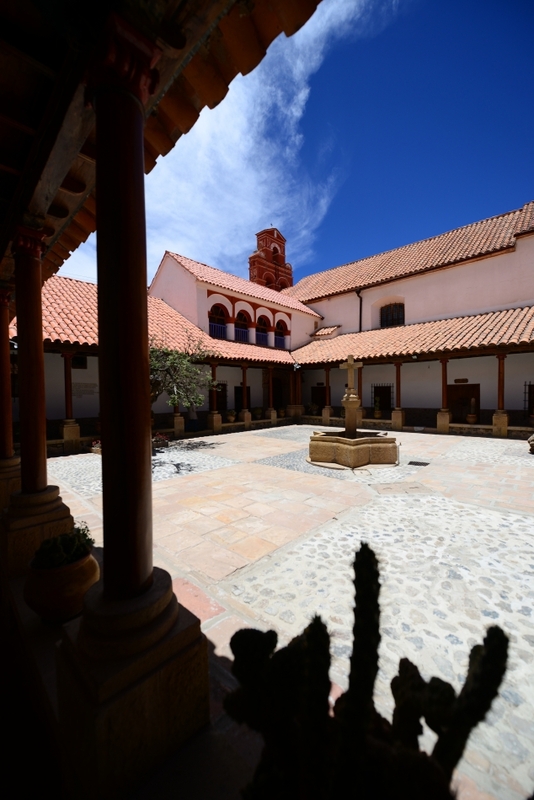 Declared a UNESCO World Heritage since 1983, both the splendid remnants of the Incas and the dazzling architecture of Colonial Spain captured our imagination ever since we entered the city. 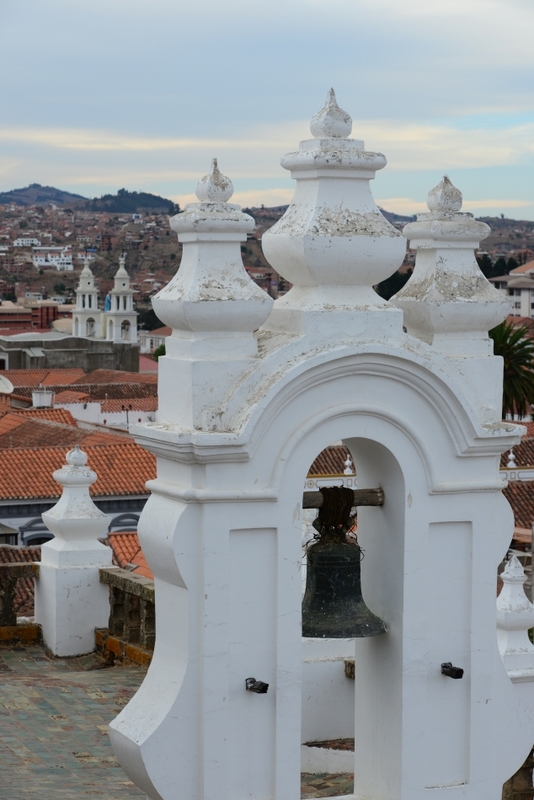 Five centuries ago in 1533, Francisco Pizarro arrived in Cusco and sacked the city, converting the marvelous Inca capital into a colonial city with Roman Catholic churches and convents, many of which still remain standing today. 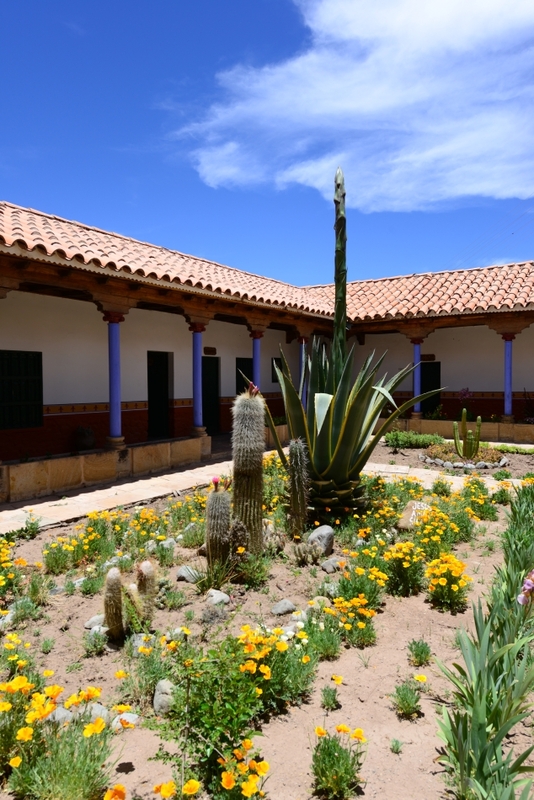 With the Sacred Valley and the lost world of Machu Picchu within close proximity to the city, at about 3,400m above sea level Cusco serves as a crucial base for all tourists to acclimatize before trekking the Inca Trail. Back in Cusco, we decided to try out a glass of fresh juice at Mercado San Pedro. 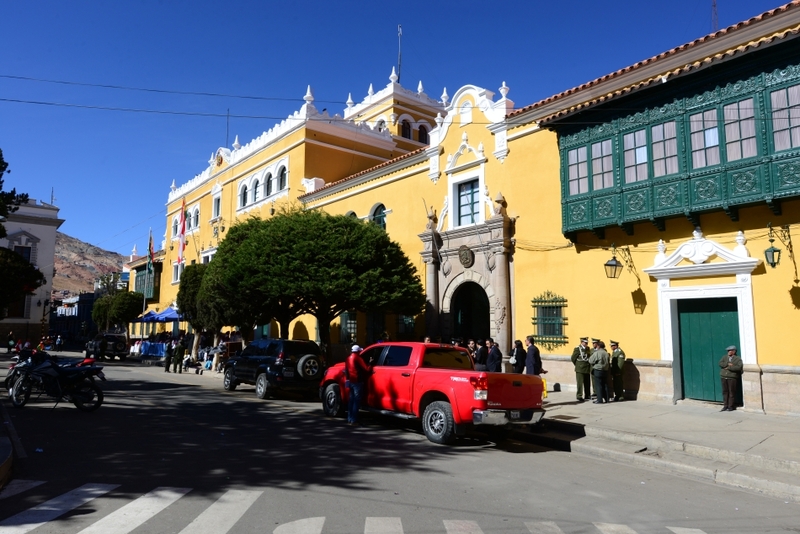 Cusco’s central market was just a short walk from Plaza de Armas. The covered market was quite large, with all kinds of produces, food products, dry goods, cafeteria, and juice stalls. From a juice vendor, we ordered a lucuma drink with milk. Lucuma is a subtropical fruit native to Peru with high level of nutrients. We made one order but the woman ended up giving us three glasses because at San Pedro juice is ordered by jar, not glass. On our way out of the market we also bought a few tangerines. After San Pedro, we returned to Ninos Hotel for a short break, then we headed over to the Australian owned Los Perros restaurant for lunch. 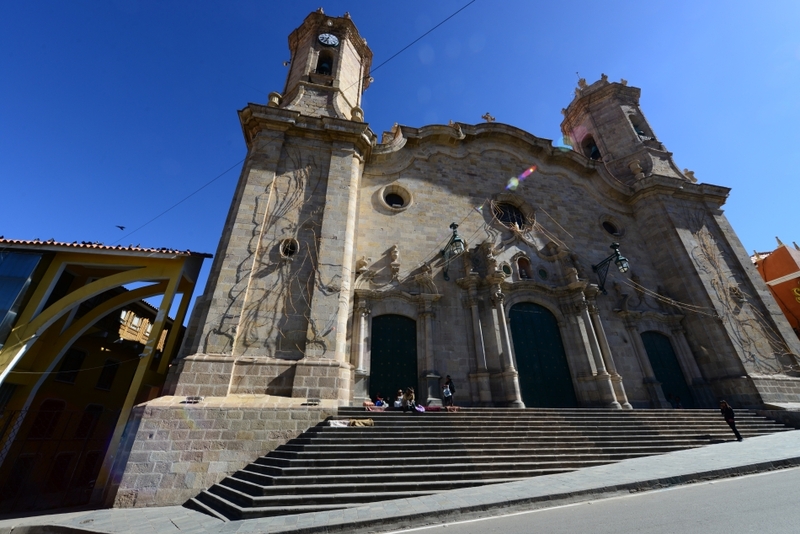 The restaurant was only a stone throw away from the city’s main square, Plaza de Armas. 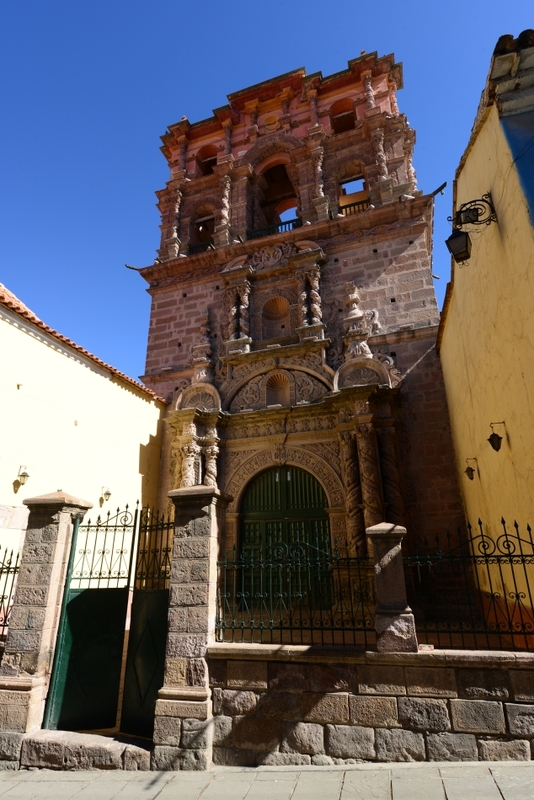 We walked around the square, stopping at some of the most iconic colonial architecture in Cusco, including Iglesia de la Compania de Jesus and Cusco Cathedral and admired the historical fountain at centre and stone arcades around the plaza perimeter. In mid afternoon, we hopped on a taxi for the hilltop Inca citadel of Saksaywaman. On our way to Mercado San Pedro on Calle Santa Clara. Iglesia de San Pedro just outside of Mercado San Pedro. Fruit vendors at Mercado San Pedro selling all kinds of local fruits. The vendor preparing our lucuma milkshake. Tranquil back streets near Hotel Ninos. 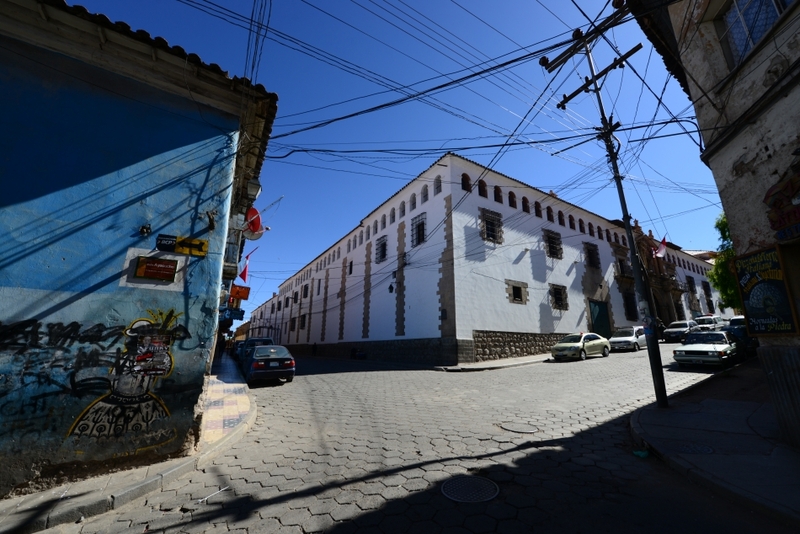 Wooden balconies were common sights in Cusco and other Peruvian cities. 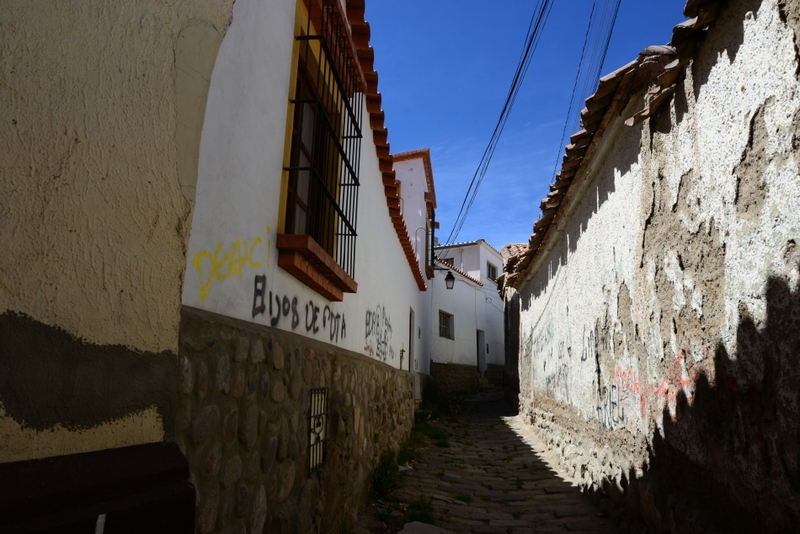 Cobble stone street in Cusco. Sagrada Familia Church beside the cathedral. 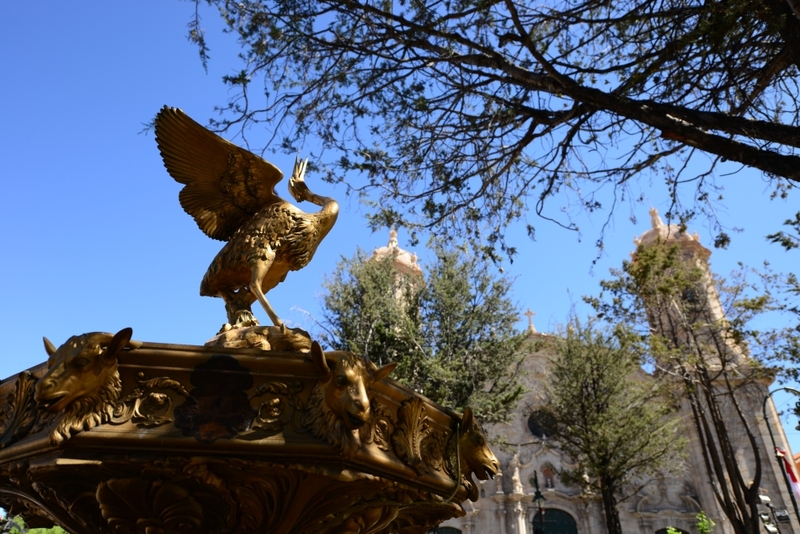 Fountain at the centre of Plaza de Armas. Fountain at the centre of Plaza de Armas with mountains in the backdrop. 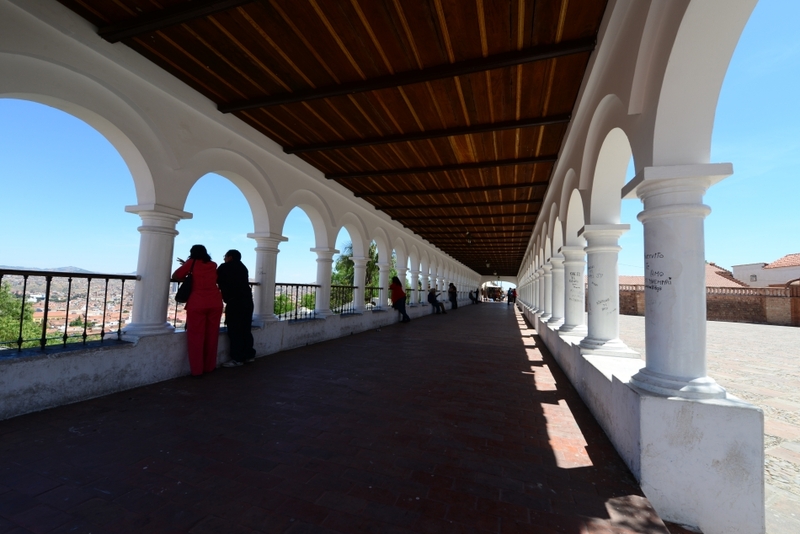 Arcades were common around Plaza de Armas. 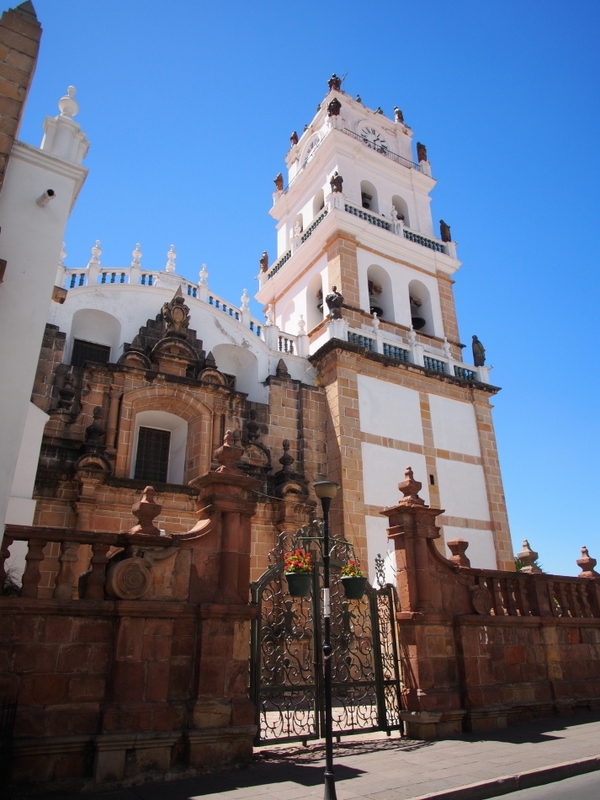 Iglesia de la Compañía de Jesús by Plaza de Armas. 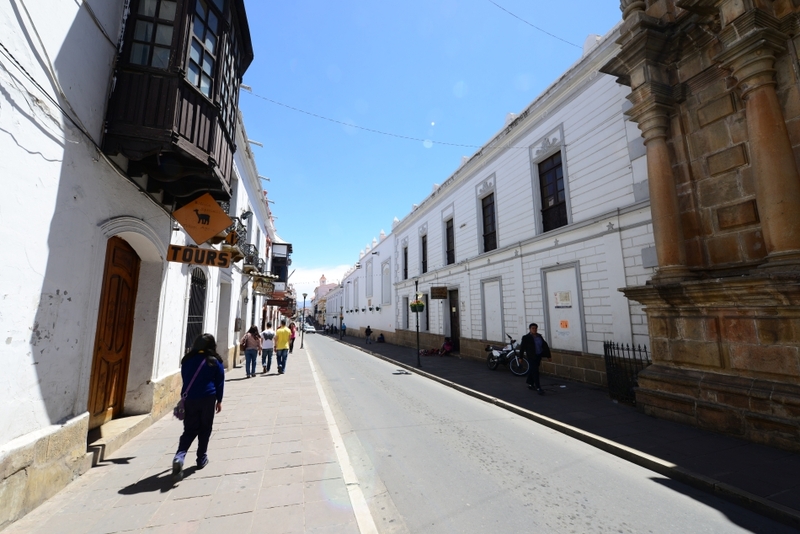 It was a quiet long weekend Monday morning when we stepped out to the street of Potosi. All banks and most retails were closed. 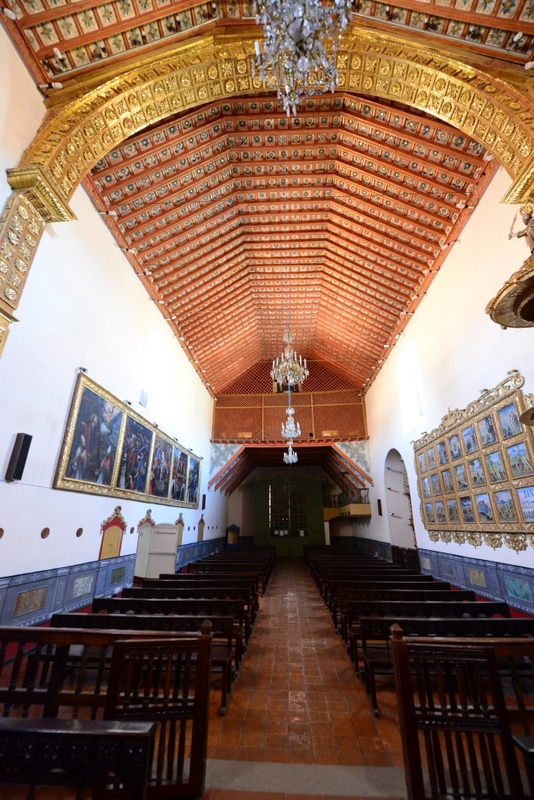 Knowing that Casa Nacioal de Moneda would be closed on Monday, we decided to visit Convento de Santa Teresa. 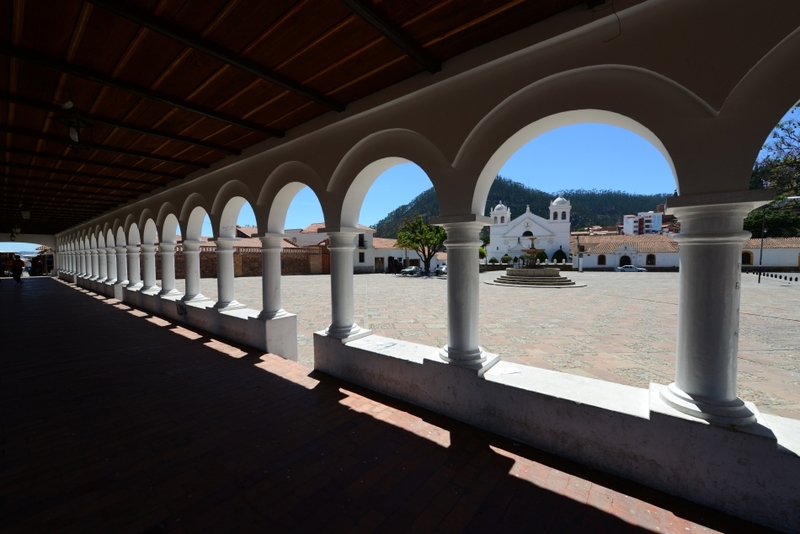 Took 12 years to restore, a large section of the 17th century convent was converted into a museum in the 1990s, and a new building was built to its adjacent to house the remaining small community of nuns. 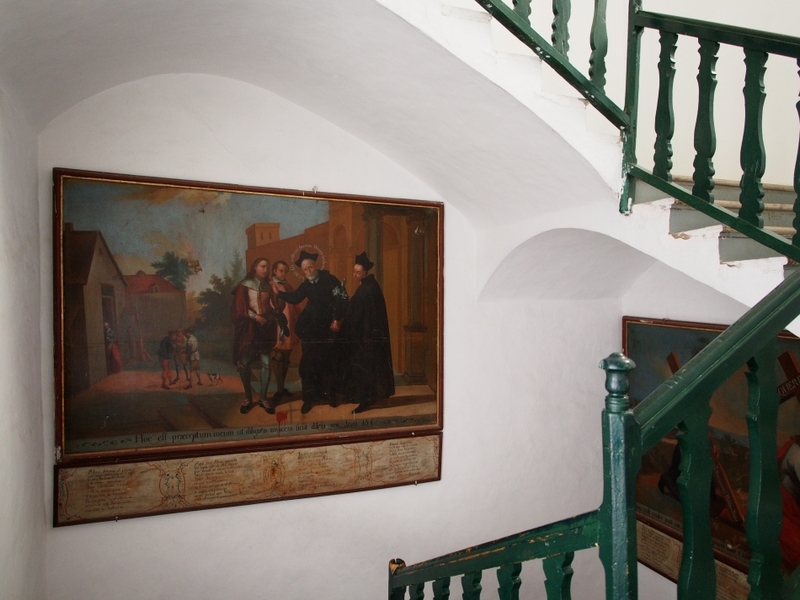 A nun, who was also an architect, directed the restoration project. We arrived at Santa Teresa just in time to join the last English tour before their lunch break. 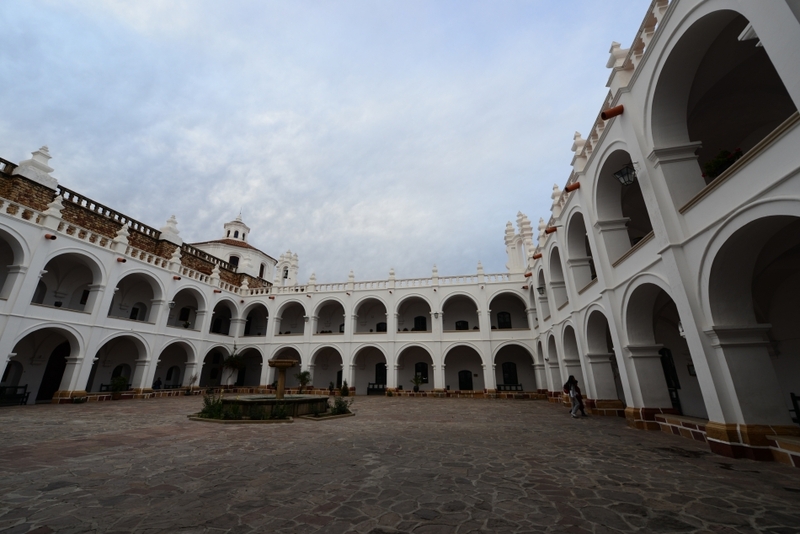 The 1.5-hour tour provided us an insight on the convent life back in the colonial times until 1960s when reforms from the Vatican put into effect. 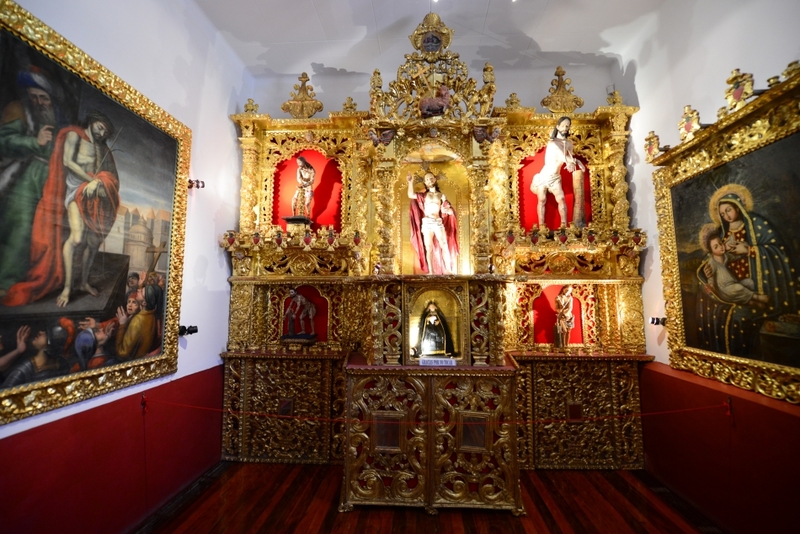 Back in colonial times, only the daughter from wealthy families could enter the convent with a sizeable dowry of religious artworks and precious items, many of which were on display in the museum. 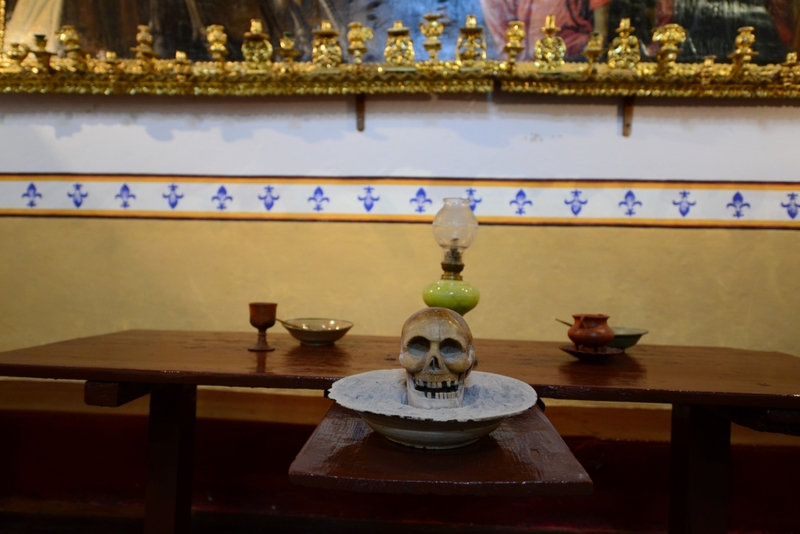 Some of the display items, such as the skull in the middle of the dining room used as a reminder of suffering, revealed the disciplinary thinking and living of the nuns in the colonial times. 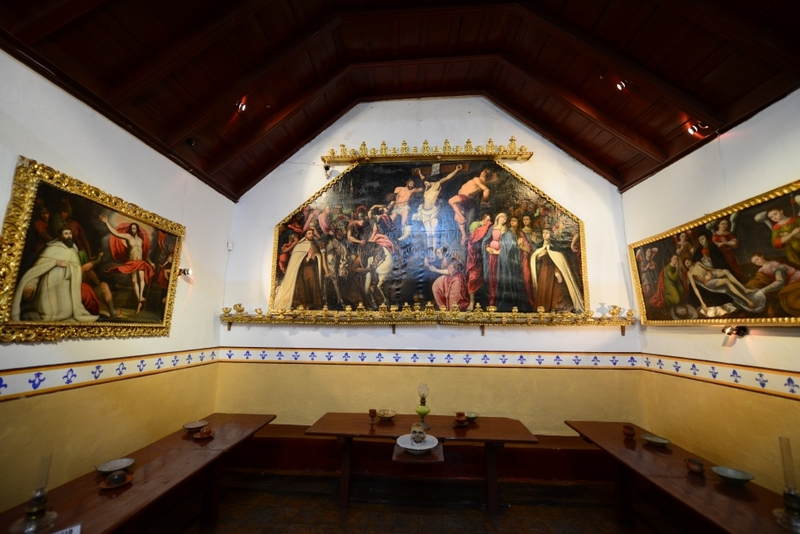 Other than religious artworks, the architecture of the convent was equally worthy of our visit, such as the ornate wooden ceiling panels of the church, and the well-preserved colonnade of the two cloisters. 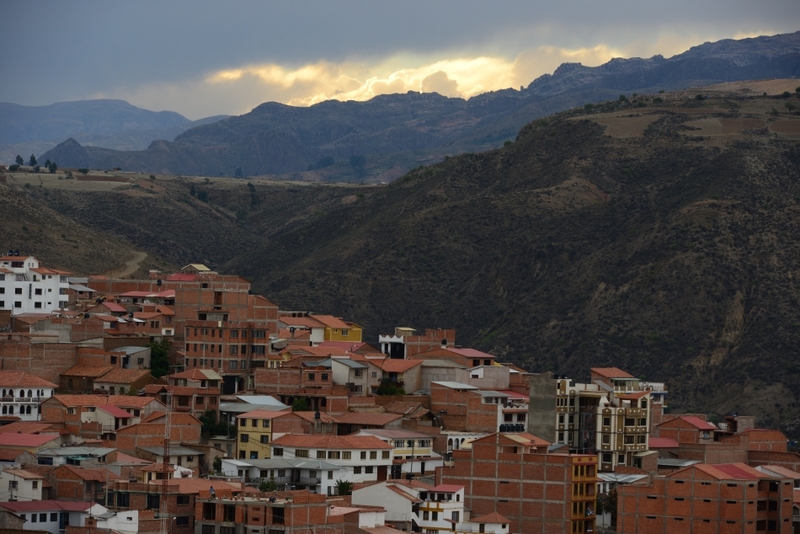 At about 4070m above sea level, Potosi is one of the highest cities in the world. 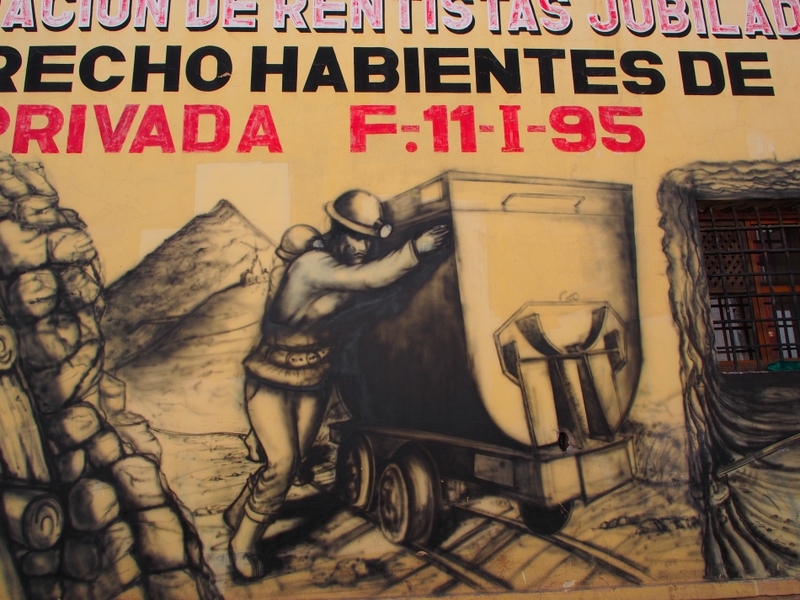 Because of the legendary silver mines in Cerro Rico (Rich Mountain), Potosi was once one of the largest cities in the world with a population of over 200,000. 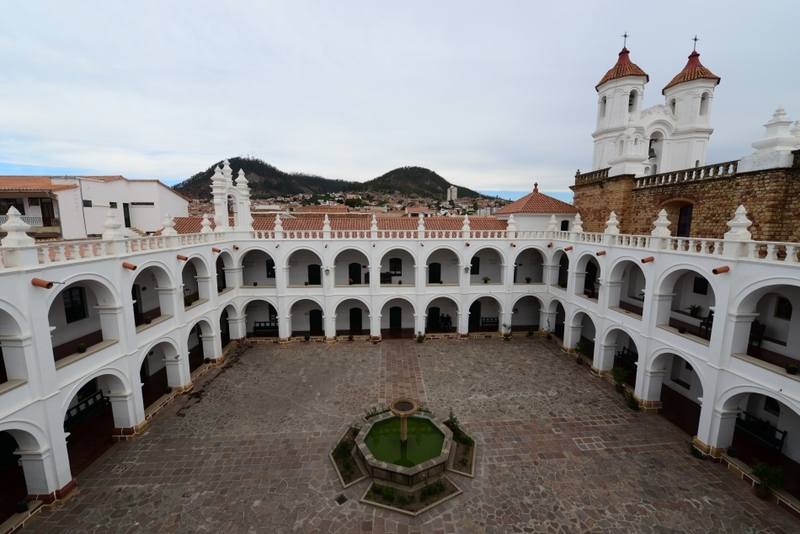 Yet because of its rich silver deposits, Potosi also represents one of the most tragic chapters of human history: under the Spanish colonial rule, uncounted numbers of local indigenous and African slaves were forced to work in the mines, and millions had lost their lives. 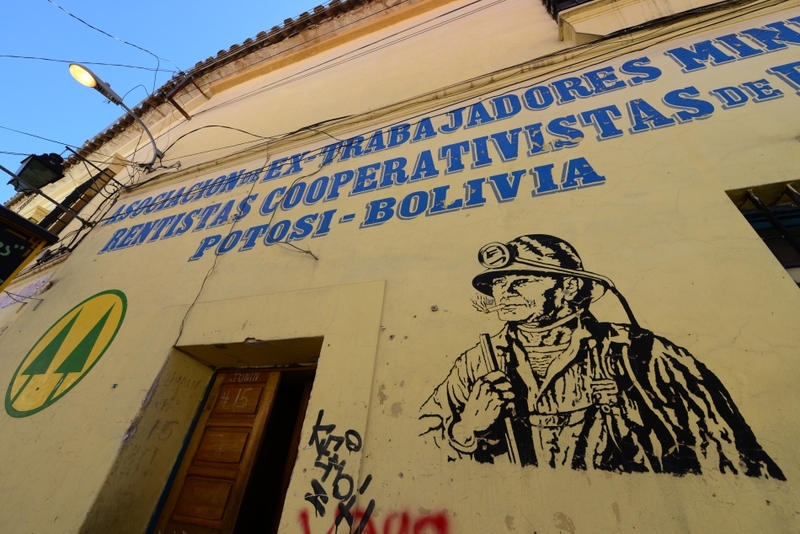 When the silver deposit started drying up in the 19th century, Potosi underwent significant decline. 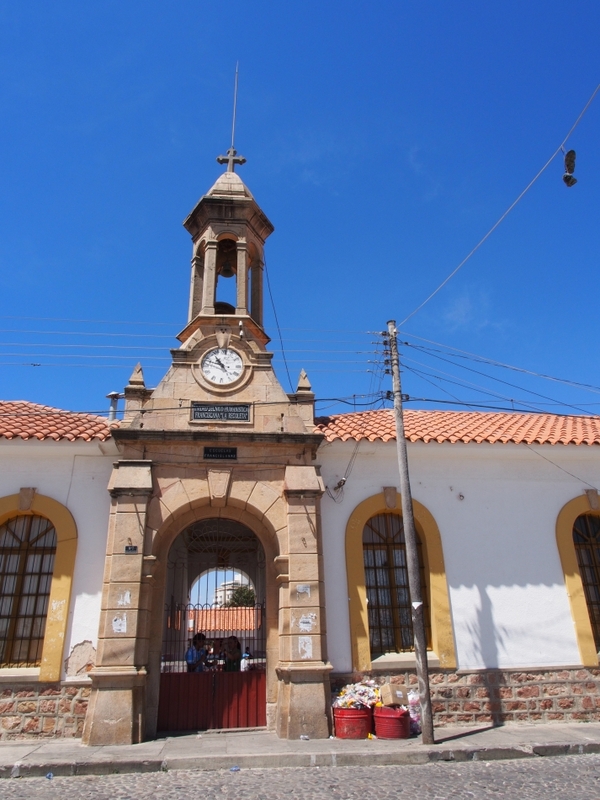 Despite the decline of wealth and population, many colonial buildings, including the National Mint, many churches and convents survived until the present day. 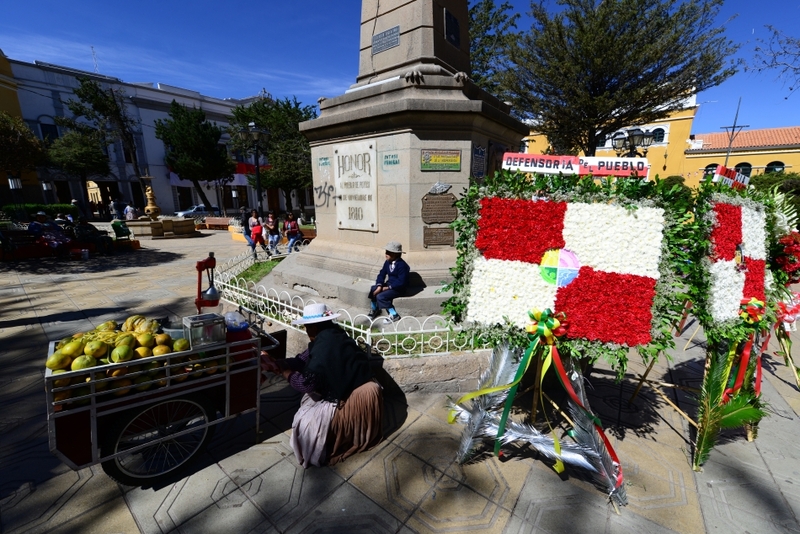 After Sucre, Potosi would be the second stop on Bolivia’s Central Highlands for us to acclimatize to the high altitude before heading out to the Southwest Altiplano and Uyuni Salt Flats. 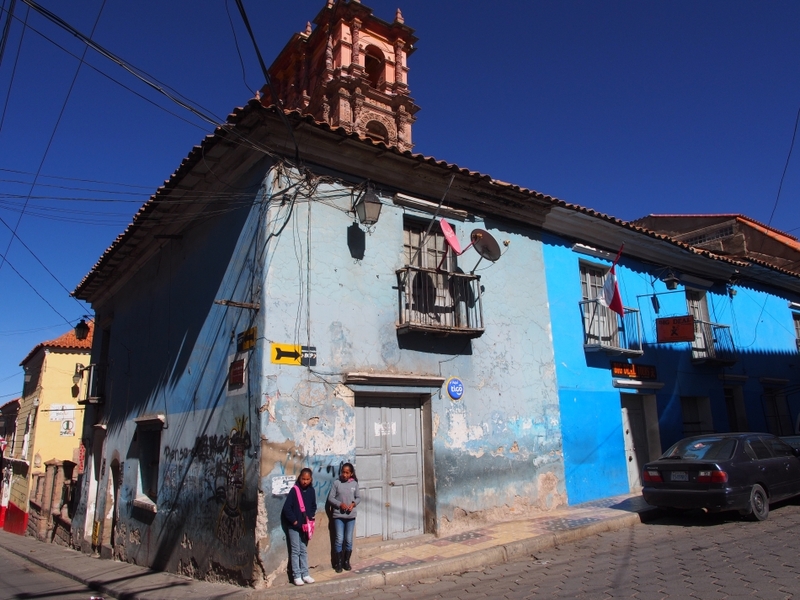 During our acclimatization, we wandered around the city in a rather relaxing pace. We didn’t go far beyond the city centre. 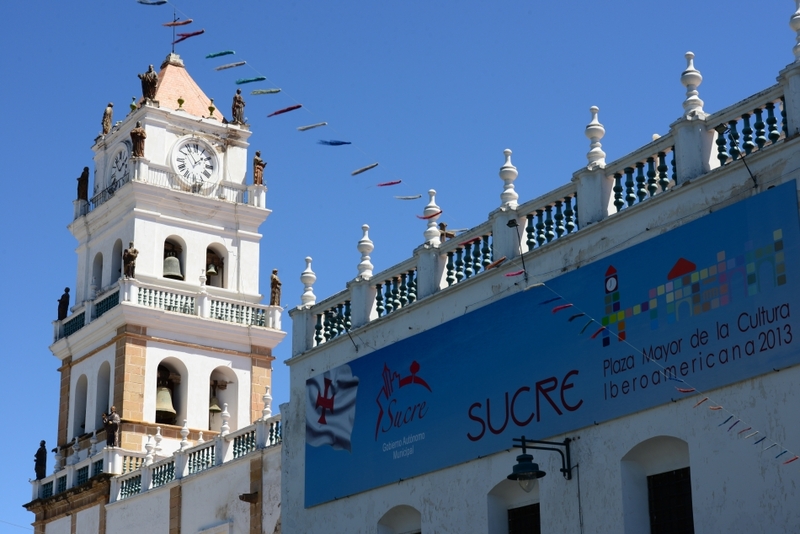 Set in a mountain valley, Sucre enjoys mild temperature and it was pleasant to walk around in the city to check out the white colonial buildings. 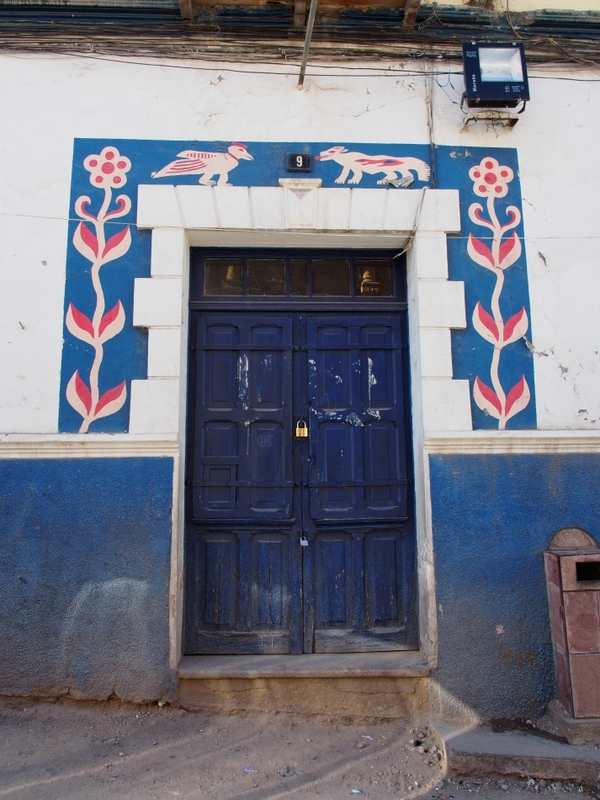 In fact, there is strict control on buildings’ exterior finishes here in order to maintain the “White City”. Declared as an UNESCO World Heritage site in 1991, Sucre is a Bolivian showpiece of colonial architecture including the Casa de la Libertad where Bolivia’s declaration of independence was signed in 1825, the Cathedral with its distinctive bell tower, a dozen or so museums housed in big whitewashed buildings, and many churches and convents. 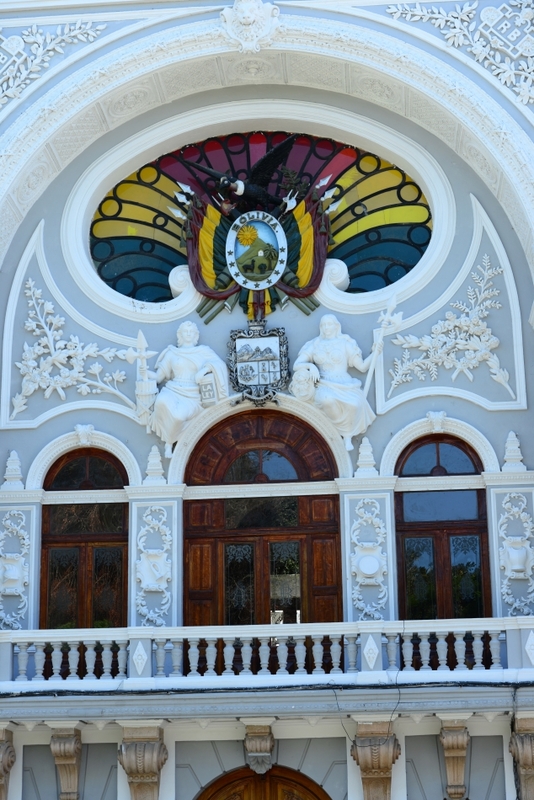 During our 1.5-day stay in Sucre, we spent most of the time wandering the streets around Plaza de Mayo. Before we left the city, we walked up the hill southeast of Plaza de Mayo to Plaza Anzures, where a covered colonnade offering a good view of the city below; but the view didn’t come close to match our experience on the rooftop of Convento de San Felipe Neri.